I think Cajun food is the most quintessentially American food there is. America is a melting pot and nowhere is that more evident than in our cuisine. Everything we touch, from around the globe, becomes American by virtue of our bounty. This is, quite literally, a land of plenty. Our country is huge and geographically diverse, meaning we’ve got mountains and plains and valleys and swamps and deserts and everything inbetween. If it can be grown or raised, you can almost guarantee that it can be grown or raised here. In some ways, that actually accounts for the blandness of much of our food. Who needs spices when you can just throw in more butter, amirite? Many international cuisines are built around deficits. A lack of abundance in one area is compensated for with a surplus in another. In this way, it’s no surprise that American peasant cuisines have become our most flavorful, because they are marked by those deficits. People who couldn’t afford more began looking for different. Did you ever wonder why brisket became the default barbecue meat? The (historically) cheapest parts of the cow were affordable because they were so tough and the ingenuity of the poor became some of our most beloved foods. In Louisiana, that means crawfish and shrimp. Mud-bugs. Catfish and other bottom-feeders. They took their abundance and figured out how to make it delicious, with slow-cooked sauces full of spices and the best proteins they could afford. Step into a modern cajun/creole restaurant and you’ll find those affordable ingredients are a little less affordable. That’s what happens when people find out something is tasty. Did you know butchers used to throw away chicken wings? Now they’re one of the most expensive parts of the bird! So, yes, a trip to Brent’s Cajun isn’t going to be the cheapest meal in town, but is that really your goal? I mean, if so, that’s cool. I appreciate someone who has a clear-cut objective. Mine happens to be eating the best food I can afford. A $13.99 appetizer might seem kind of pricey, but when you see a server emerge from behind the wall with a massive plate of crawfish nachos, you’ll see there are economies in this scale. 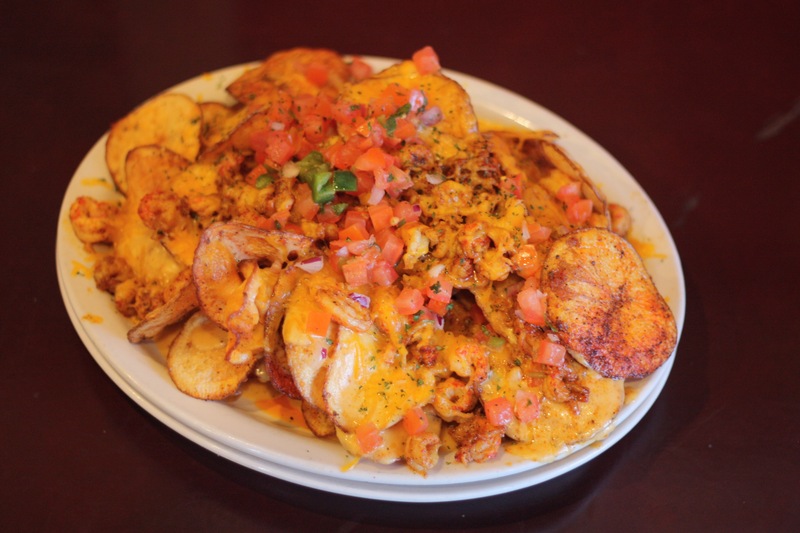 Despite being called nachos, the base of this dish is a deep well of house-made potato chips. Good lord do I love freshly made potato chips. They’re crispy, they’re just a touch chewy, and the flavor is the perfect setting for all of that cajun spice. 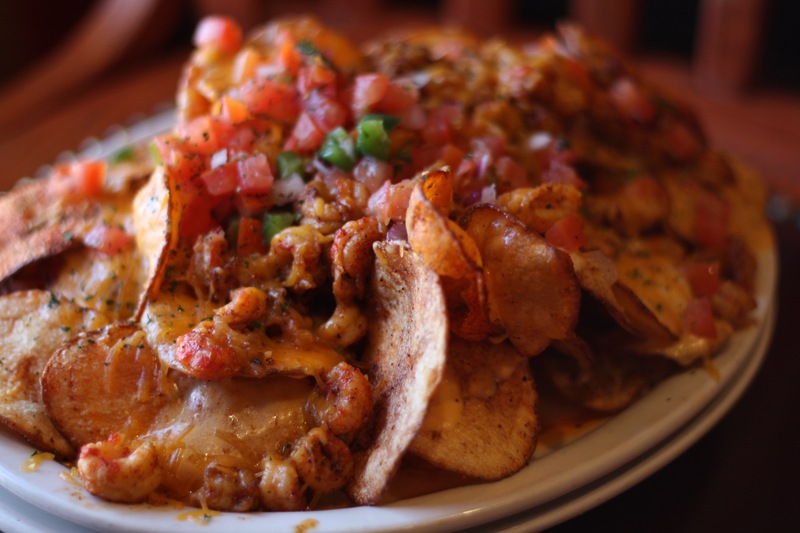 On top of the chips is a pretty big serving of blackened crawfish tails, pico de gallo and melted cheese. 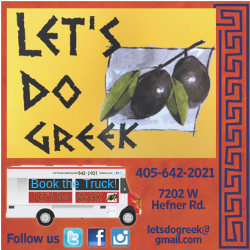 Brent’s shows plenty of sports on TV, so if you’re looking for a new place to watch the game, this is a solid option. 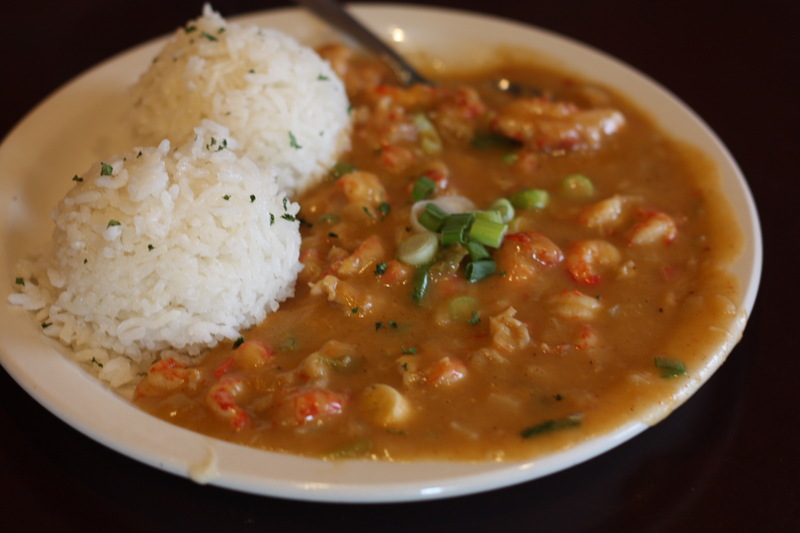 Continuing with the crawfish love fest, can I tell you how happy the crawfish étouffée made me? Adapted from the French word for “smothered,” étouffée is a dish of beautifully built roux — a mix of butter, flour and spices slowly grown into a smooth sauce by gradually adding stock. Portions are big, no matter when you go, ($10.99 lunch, $14.99 dinner) and the flavor is on point. I literally said, “Woo!” to myself when I got a hit of the background heat. I’m that guy. The roux is not super dark, which is okay. The flavor is solid and not burnt, which can happen when a roux cooks a little too long or a little too quickly, and the heat is legit. The crawfish themselves are tender with just a little chew — perfect for keeping the flavor of that roux on your tongue for just a few seconds longer. 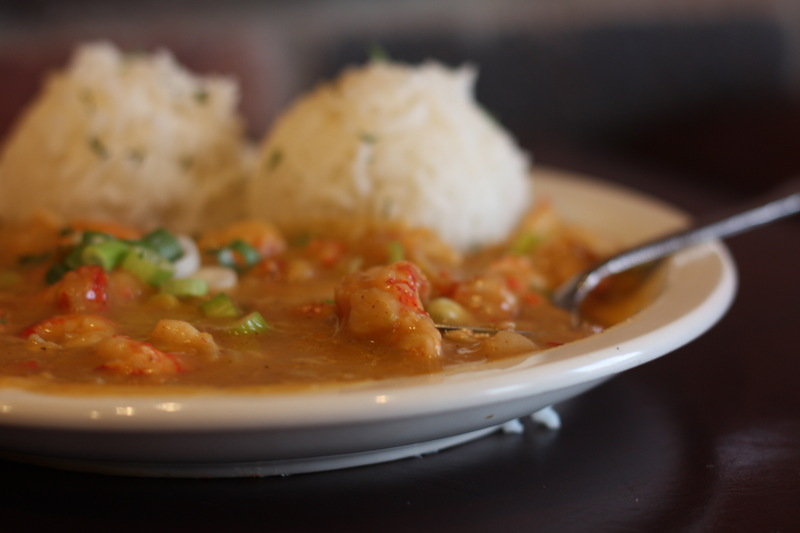 My lifelong love affair with crawfish continues with a bit of a ménage à quatre called seafood courtbouillon ($22.99). 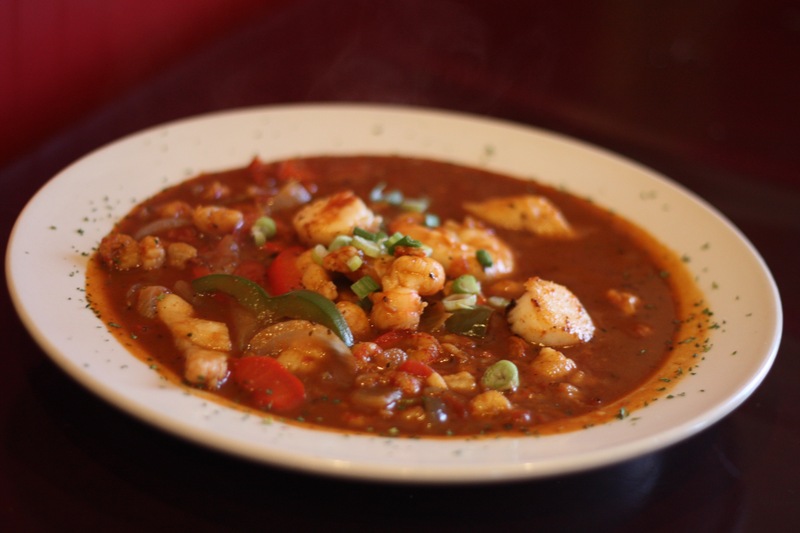 The crawfish gamely invite catfish, shrimp and scallops to join the proceedings in a rich, red sauce with sauteed vegetables and scoops of perfectly fluffy white rice. Again, this isn’t cheap, but the portions are so large you’ll be eating it for at least one more meal. And, surprisingly, this seafood dish actually translates well when it’s reheated. If anything, like a fine chili, the flavors have time to meld and strengthen, giving it a deeper and longer-lasting heat. If I have the scratch, I’ll order this every single time. 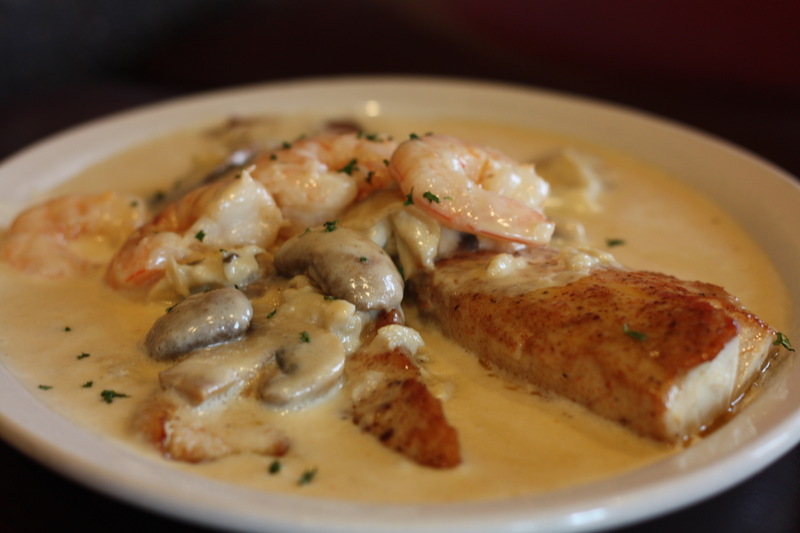 For something a touch less soupy, The Pontchartrain ($28.99) is an enormous serving of grilled redfish covered in a seductive sherry wine-cream reduction, tender shrimp, crab and mushrooms. This is another dish that almost guarantees leftovers, but the spice level is much more subtle. Whereas the courtbouillon goes dark and hot, the sherry and cream create a much more delicate sauce. Oddly enough, I found myself more taken with the mushrooms than the shrimp or crab. They all work together beautifully, but the mushrooms were just perfectly prepared. A little snap to them, a bit of flavor, but mostly they sucked up the sauce and made every bite burst with richness. I was told Brent’s bananas Foster dessert is to die for, but since I’m allergic to bananas, I wasn’t ready to die for it just yet. 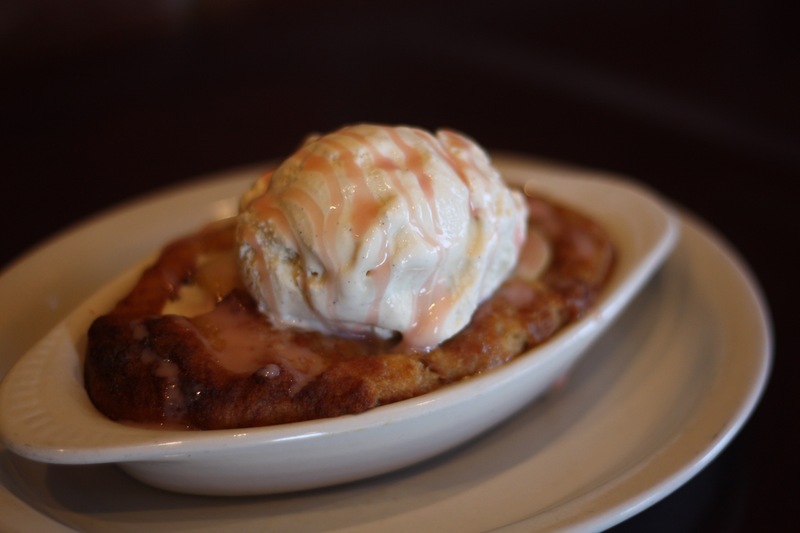 Instead, I tried the peach bread pudding a la mode ($6.99). I’m not always a big bread pudding fan, but this was mighty tasty. Big slices of peach in the bottom of the dish made it almost like a thick, slightly chewy cobbler. The service at Brent’s is phenomenal. As always, ask your server for guidance. They were happy to point me to not only the most popular dishes, but also a few value options that will still give diners a taste of what the restaurant does best. And keep your eyes open for a big, friendly guy overseeing things. That’s Brent. (If you see a big, unfriendly guy who is definitely not in charge, that might be me.) He’ll happily jaw with guests about his menu, college football and anything else under the sun.